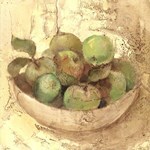 Food still life painting or print calms the mind. Food images rouse appetite. Food still life images should therefore suit your dining room with immense exactitude. There are still some that would work well in your living room or home bar, depending on your desire. But you want to get the most appropriate prints from the vast gallery of fine prints. Your taste should come to the forefront. Do you love food still life photography prints or painting? Do you like a few texts on your print or simply pictures? Consider the space you are going to cover to give you the right size of the print you are ordering. You may still use size to create effect. A miniature piece may evoke keenness or make a small room appear larger or smaller depending on the viewer. The durability and beauty for the pictures of food you are purchasing can considerably be enhanced if you don’t want them simply delivered as print. One way is to get them laminated. This keeps away dust and nasty fingerprint marks while making the artworks waterproof and resistant to creasing. You want to consider greater durability by ordering your food images on canvas. If you like trying your hands on mounting, get them delivered unstretched. You may be a busy art lover who wants stuff ready for the walls. 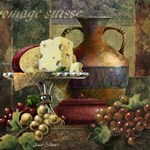 Get your food wall art delivered on canvas, finished with a professional gallery or museum wrap. Alternatively, you can get them custom-framed. Custom framing presents you the opportunity to choose from an array of frames of different materials, color, and texture. This ensures you’ll definitely get frames that suit your taste and style and still matches your print and home decor.